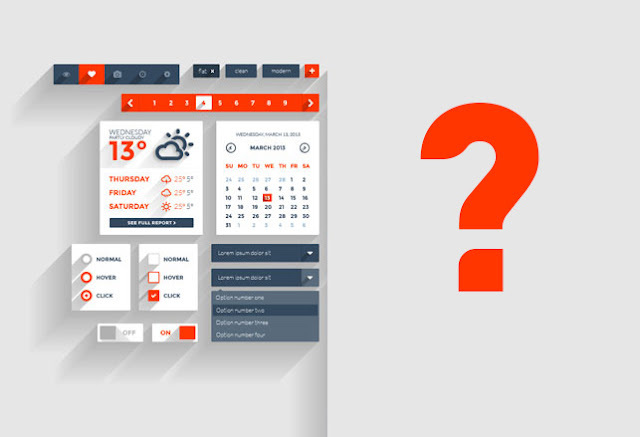 What is the next trend in UI design after flat design? A user on Quora asked this question. And, Trip ODell, Product Design Leader, Amazon provided him with the best answer. So, I decided to share it with you guys. Enjoy. The next trend in UI will be no UI, it will be about "Calm Technology ", experiences where the system adapts and anticipates the user's needs in meaningful ways. We're already starting to see this trend in voice-based experiences like Amazon Alexa, Siri, Cortana, etc as well as in the field of wearables and internet of things. The proliferation of inexpensive, high-quality, miniaturized sensor technologies and intelligent, cloud-based agents and services are making it increasingly less likely that users will have to interface directly with software for it to be useful in most cases. For instance, consider your typical smartphone and apps. Nine years ago, desktop software and computers were significantly richer and more powerful than a modern smartphone. Yet we're increasingly ditching even more powerful laptops (and even tablets) for more capable smartphones with limited interfaces because the sensors built into the device (camera, accelerometer, GPS, fingerprint readers, pressure sensitive, capacitive screens), in combination with more intelligent software services (search, navigation, computer vision, face detection, etc) have made it extremely easy for the system to do all the hard work a user in terms of uploading, file management, storage, networking, etc, etc. Calm technology will be like that, but exponentially more powerful. There won't be all the notifications, and noise of today's experiences. You don't have to think about how the plumbing works when you go to the bathroom. The AI agents will become smarter and make contextually appropriate choices for you, so you don't have to think about digging into an interface 90% of the time.